On January 28th my brother and I are flying to Zurich to attend VALUEx Klosters, organized by my friend Guy Spier (read more about Guy here). Alex and I attended the very first VALUEx in 2010 and absolutely loved it. Klosters is a small Swiss ski resort located right next door to the even more famous Davos. I don’t attend many investment conferences, but this by-invitation-only conference is very special to me. It brings investors from all over the world to share ideas; and unlike other conferences where there is a clear divide between speakers and attendees, here everyone is expected to present and share their best ideas, be they specific investments or more general ideas. After three days I’ll walk away with a dozen stock ideas to investigate and many new concepts to ponder. It doesn’t hurt that I’ll get to put in a day or two of skiing in the Swiss Alps, enjoy great food, and spend time with old and new friends. (I met two of my closest friends at this conference nine years ago). I shamelessly copied the best elements of the format of this conference and created my own conference, VALUEx Vail, nine years ago. I’d argue that Vail is a more modern, master-planned version of Klosters. Our trip doesn’t end with the conference; it just begins there. Alex and I are renting a car and embarking on a six-day journey from Zurich to Nice, France. 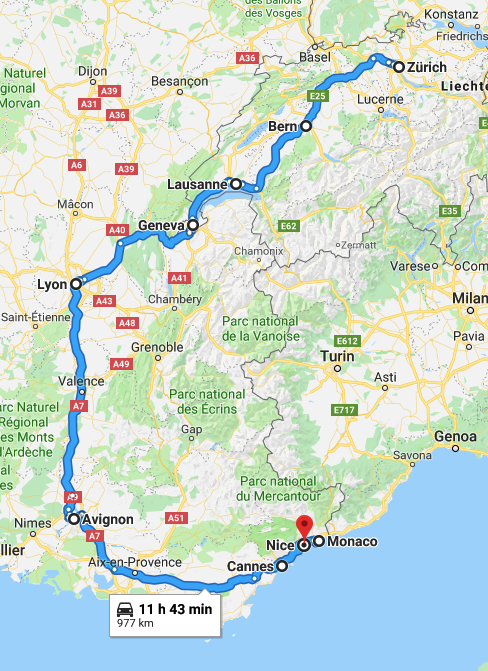 We will pass through Bern, Lausanne, Geneva, Lyon, Avignon, Marseille, Cannes, and Monaco before we fly back to Denver from Nice on February 8th. I am really excited about visiting CERN in Geneva. You can watch a TED talk on the Hadron Collider here. It’s one the largest, most complex physics experiments ever conducted (space exploration rivals it). Alex is into Swiss watches, so we are going to check out the Patek Philippe Museum in Geneva as well. We’ll probably visit a few art museums along the way, but mostly we’ll just walk and talk and spend some time with friends in Zurich and Lausanne. I’ve been to Europe probably a dozen times over the years, but every visit is special. Most things in the US are less than a hundred years old. Some tables in European coffee shops are older than that. Europe is old, and its long history stares you in the face with every cobblestone. Americans often look at Europeans as being lazy – Europeans take longer vocations and have shorter work weeks. Europeans in return think Americans are too focused on making money. Okay, let the fight begin – but not here. After every trip to Europe I tell myself that I want to become more European – slow down; inhale life more deeply; take long lunches, with a glass of wine or two (it’s not like I’m operating heavy machinery at work); take longer walks, in the park or even better in the woods; or just go to a coffee shop, drink coffee and read. I’ve been trying and failing to become more “European” for years. I am in the midst of writing my seasonal letter. We changed the cadence of the letter from “quarterly” to “seasonal” a few months ago. 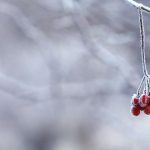 “Quarterly” implies that my writing has to follow a strict calendar – it is customary for clients to receive a letter a few weeks after the quarter ends. I was always overwhelmed with guilt as I failed to toe that line, my writing muse observes its own schedule. “Seasonal” gives me (and the muse) the flexibility we need. Clients get the same amount of output – four very long, detailed (some are as long as 20 pages) letters a year, but with significantly less stress on yours truly. I am looking forward to my transcontinental flights, which will allow me to write without interruption for six to eight hours per flight. I’ll be posting pictures from the trip to my Facebook page daily – you can follow me here. Alex, who has lately been more popular in these pages that your humble author, is taking his iPad and has promised that he will be drawing. You’ll be able to see his work in (almost) real-time, posted to his Facebook page here. (Friend him; he is very promiscuous with his Facebook friend requests).